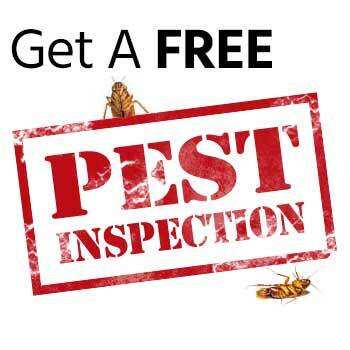 Want termite control in Portland that works? The Western Subterranean Termite and the Dampwood Termite are the two main species found in the Portland metro area. Termites can be found in many different areas of your home with the most likely area being the crawl space or the garage. As these insects can rapidly spread damage throughout the foundation of your home or business, it is important to get regular termite inspections. But what if the inspection finds them? If that’s the case, call The Killers for the best termite control in Portland. 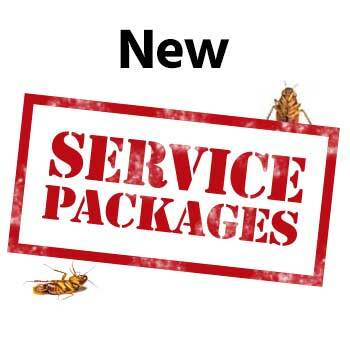 We offer guaranteed termite extermination services with several different treatment plan options. Some varieties of termite, such as Dampwood Termites, don’t require any treatment because they need a high moisture content caused by a leak in the wood to survive. If you fix the leak and repair the wood, you will most likely also eliminate the Dampwood Termites. Subterranean Termites are another story because they will do major damage and can go undetected for a very long time. They get their moisture from the ground which is where they nest while foraging up to feed on your home. To get from the ground, they will need wood to ground contact or they can build mud tubes to get from the ground into the structure. What kind of termite removal do I need? This all depends on what kind you have in your home. Like many bug types, termites have specific roles that they play, and each type is a different size and behaves in different ways. Swarmer termites are black in color and have wings that are double the length of the body. They’re intimidating but don’t do much damage. However, they’re the primary reproducers of the colony. Soldier termites are about ⅜ inch in size and have a reddish brown head and cream colored body. You will not see the subterranean termites out in the open except when they fly in the fall as the humidity changes. 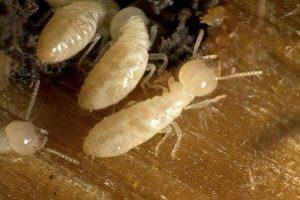 Worker termites are small, about a ¼ inch and are a creamy white color. They forage for food, protect the colony, and feed reproducers. They’re the ones that eat the wood in your home and cause the most damage. Dampwood Termites are about ½ inch to 1” long and also have swarmers that are reddish brown in color. During the fall many people see the larger Dampwood swarmers and are concerned they may have a termite problem, but it is unlikely the Dampwood Termites are in your home. They’re more likely in a stump around your property. These termites will range from 1/8th” to 1″ in length and the flying or swarming termites are often seen around the exterior lighting of homes. This termite is seen very often in September and October when we get changes in the temperature and humidity. Homeowners call requesting Dampwood Termite control in Portland because they see these termites swarming out of the ground by the hundreds or even thousands. The good thing about this termite is that they need very high moisture content in the wood to survive. In most cases, if you have that much moisture, your real problem is a leak in your home. The first thing is to fix the leak. This will probably solve your problem without further treatment! Before any termite control treatment is done, a full pest inspection needs to be performed to determine where the termites are getting in. Termites can get into a crack about the width of a credit card, so it’s imperative to check the whole home before planning the best treatment for each individual home. If termites are discovered in the crawl space, we recommend a termite control treatment of all the wood in the area with Bora-Care, a penetrating borate that will protect the wood. Bora-Care is a long lasting product that will protect for 10+ years. We will also do a spot treatment with a termiticide where any live termites are found in your crawl space. If termites are found coming up through the concrete in the garage using mud tubes, it would be necessary to do a sub-slab injection with a termite killing product along the wall where the activity is, in addition to the crawl space treatment. There will be some instances that we use a baiting program if that is the best course of termite control. Our termite control services are one of the most comprehensive services that we provide and involves treating the whole home to protect the structure against reinfestation. That’s why they come with minimum one-year guarantee. Longer warranties are available depending on the type of products used and where they were applied. This means that you can call us confidently, knowing that we’ll take care of the problem. And if for some reason we don’t, we’ll be back to make it right. So if you see termites in your home, don’t panic! 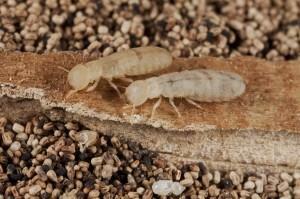 Call or contact us today for termite control in Portland.